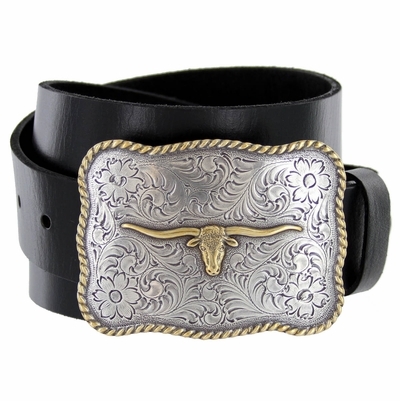 1 1/2" width black smooth leather belt, buckle silver & gold two tone finish. Longhorn Steer on Engraved sterling silver Background with Western rope border buckle size: width 3 3/4" High 2 3/4". Belt has snaps so buckle is removable and changeable.